Attention cookie dough eaters — you know who you are. The amount of times I’ve baked cookies and eaten half of the mixture before the cookies made it to the oven. There is nothing better than a delicious crackly chocolate coating covering the creamy chocolate chip cookie dough centre. 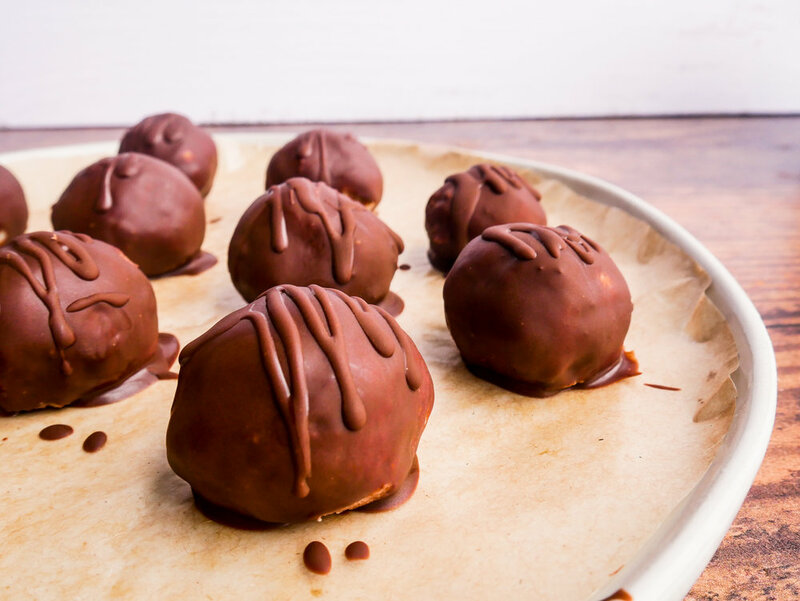 These cookie dough truffles are easy to prepare and even easier to eat, it's best to serve them in the company of others so you aren't tempted to eat them all yourself. 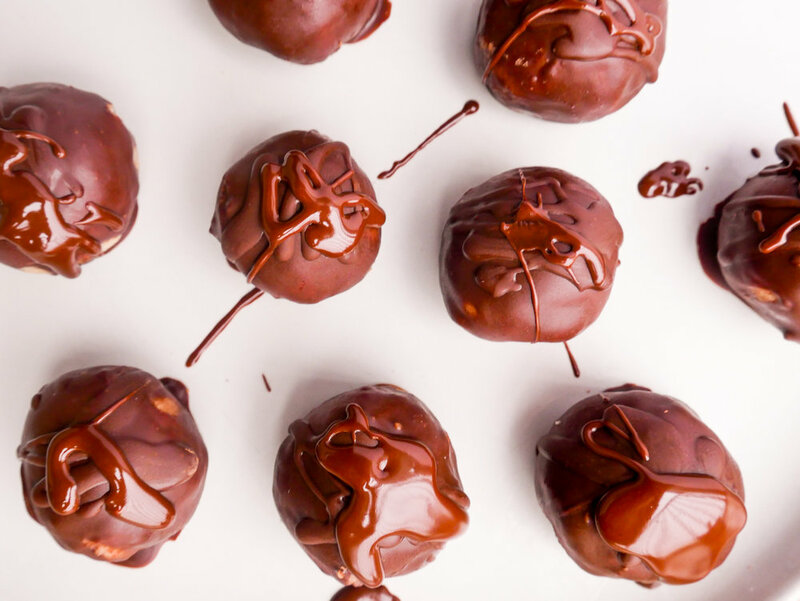 These truffles are eggless and require no baking. They do need to be refrigerated and will last about a week, but the leftovers didn’t make it more than a day in my house. In a medium bowl, combine all the cookie dough ingredients except the chocolate chips. After a dough is formed, stir in the chocolate chips. Roll the dough into small balls and place onto a tray that is lined with baking paper. In a saucepan over low heat, melt the chocolate chips and coconut oil. Using a tablespoon, drizzle this over the cookie dough balls. Make sure the balls are all covered. Place back into the freezer for at least 2 hours before serving. Store these in an airtight container in the fridge.